Hello guys!!! If you are still reading….BLESS you! I took a 9 month hiatus. That sounds really bad! I am back and I hope to stay at this more consistently. 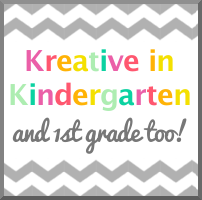 Just to update- I am moving on up to 1st grade for next year! I am excited for the group of teachers that I will be working with and the new curriculum. I cannot believe that it is already July! July is my birthday month, so I have nothing against it. However, it does mean that I have only have a few weeks left of this glorious summer break. Now on to July currently!! I have been loving having Big Brother back on this summer! It is one of my T.V. loves! I have also been updating and creating a TON of TPT products. I am so excited to use the new ones for next year! Have a great day everyone!!! 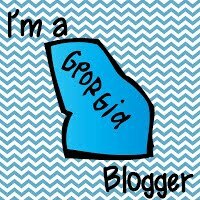 I know how the "it's school and I can't even think about blogging" thing goes...Good luck getting back into it...and good luck moving to first grade! What an adventure!! I hope to do better! Thanks for stopping by! Hi Robyn! :) Oh my goodness! I love my Erin Condren Planner! It is the best planner I've ever had. And, seriously, I think that I am always in need of printer ink! The struggle is real... how does it run out so fast?! I found you through the linky party, but I am also your newest follower! Good luck in first grade! I had the teacher planner last year, but I think this life planner will fit my needs better. I can't wait!! Thinks for following!!! I love BB. Last year was the first time we got 'after dark' in Canada. I'm just getting caught up with last week as we were out of town. Can't wait! Thanks for stopping by!! I can't get enough of Big Brother!! I am going over to check out your blog now! Welcome back to blogging! I've got so many TpT things to make as well as to print, laminate and generally have fun with!